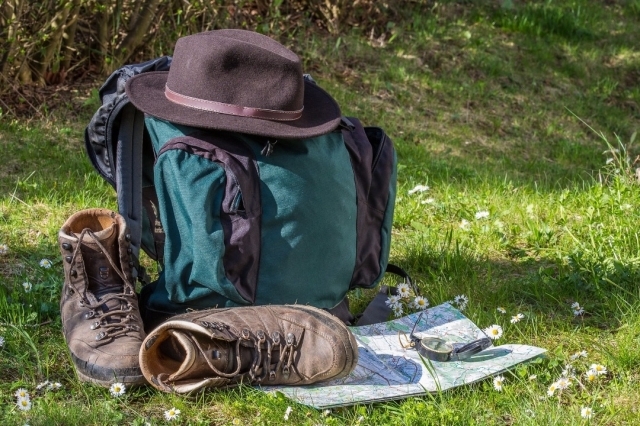 The Camino de Santiago is safe, however, it is necessary to take precautions before and during our pilgrimage to avoid any displeasure and make the experience unforgettable. The route to Santiago is safe, one of the reasons being the fact that it mainly travels the geography of Spain, although there are also routes from the different parts of Europe, such as Portugal, France or the Netherlands. If you live in Spain surely you will know, but if you are planning to travel from anywhere in the world to pilgrimage to Santiago, it is worth remembering: Spain is among the 25 safest countries in the world and is the 9th with the highest rate Low homicide. To these favorable data must be added other determining factors, such as the prohibition that civil society carries arms or a stable democracy as a system of government. This framework of tranquility and general stability, coupled with the pilgrims' "values" of the pilgrims and the climate of camaraderie, respect and general civility, make the Camino de Santiago a safe and recommended experience that you will surely repeat if you dare to try it. We must always walk on the left side on the road sections (in the opposite direction of traffic) and in single file on the shoulder. If we have to cross the road, we must do it in areas with wide visibility, avoiding curves and changes in grade. If we witness a robbery, pilgrims being intimidated, threatened, attacked or any event that goes against the law, we must notify the authorities (112) so they can act as soon as possible. On the other hand, if you see that someone needs help (for example, in the case of a traffic accident, a fall, etc.) assess whether your help is necessary or if it can only contribute to making things worse, in which case you should call directly to emergency services. It is always advisable to take some money to be able to cope with occasional expenses, but it is not advisable to take everything on, since there are numerous ATMs (ATM) in the main locations of the Camino de Santiago. Make use of them and above all, apply common sense, not making money ostentation. Although the climate that reigns among the pilgrims is not at all distrustful (quite the contrary), as in any space that we share with strangers, it is our responsibility to cover our personal belongings. This does not mean, for example, that we can not leave the phone charging in the shelters; but as we indicated earlier, you have to apply common sense. Although we know that you love photography and would like to shoot an incredible short film with the videos of your pilgrimage to Santiago, remember that the Camino only takes the essentials, since you will have to carry all your belongings behind you. If you still decide to bring video or photo equipment with you, always take it with you, as you would do anywhere else. The most frequent thing in the Camino is to find animals such as horses, herds of sheep, cows, which are normally found grazing or inside private farms. Respect them and above all do not invade private property, remember that you are only passing through; the photographs are fine, but the animals may not feel good about touching them. You will also find dogs, but do not be deceived to see them loose, since they probably have an owner. Do not offer them food, since they can decide to follow you in your stage to see if you give them more and suddenly be lost, several kilometers from home and without knowing how to return home (a very common problem in the Camino de Santiago). Although we will not extend, just remember that we have to start the Camino de Santiago with a previous preparation with a training plan of several weeks to avoid injuries and overexertion, which can leave us exposed in the middle of a stage. On the other hand, equipment is also fundamental, especially footwear, because if it creates problems (chafing, humidity), it can also leave us lying around. It seems obvious and simple, but do not forget that on the Camino you have to follow the yellow arrows and the scallops with a blue background to follow our route. However there are stretches on some routes where the indications are not clear and occasions on which the "pillería" makes some people place signals trying to mislead the pilgrims and guide them to their business (not always the usual). It is best to ask at the accommodations on the Camino and the tourist offices of the localities. If we have the feeling of having left the yellow arrows of the Camino de Santiago, it is best to ask if we see other pilgrims or people around us. If we do not find anyone, we can always retrace our steps to try to get back on the right path. You have at your disposal maps and apps for your smartphone such as ViveCamino (Android, iOS) to plan your route and geoposicionarte so you can easily find the Camino. If the situation is desperate (if night falls and temperatures drop, you can not find anyone, you have run out of supplies), remember that you must resort to emergency services. That the Camino de Santiago is safe is the responsibility of all pilgrims, to follow a manual of good practices, to be responsible, to go through it physically prepared and with the right material to minimize risks. So that your experience goes without the slightest problem and you feel safe at all times, I'm sure it will be helpful to follow these tips above, but without a doubt the most important one that we can give you is that by walking you take tons of common sense and do not trust yourself at any time.